Why Should You Get An MBA Online? Earning an MBA through a reputable online MBA program can help you gain the skills, knowledge, and credibility required to qualify for an array of new careers and advancement opportunities in a large variety of career fields. 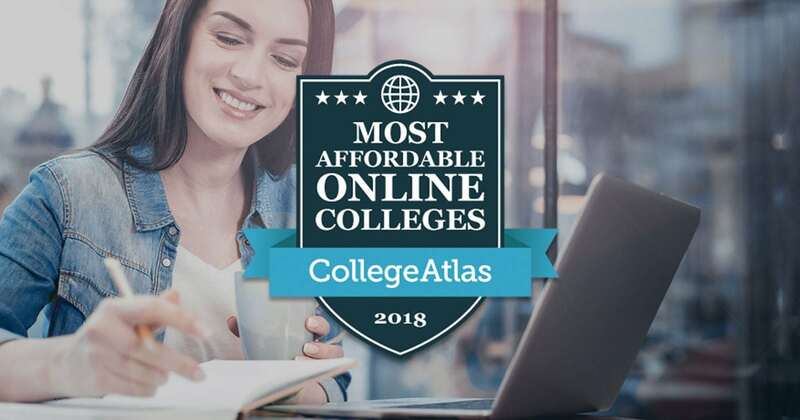 To accommodate busy and aspiring business professionals, there are an increasing amount of online MBA programs offered by accredited online and distance learning business colleges. Five to ten years ago, a degree from an online Master of Business Administration (MBA) program was generally considered suspect by employers and thought of as less credible than a traditional, on-campus MBA degree. However, as schools have adopted online learning platforms in order to cater to the shifting needs and schedules of today’s working adult, we have seen a shift in not only the number of online MBA programs but also in the quality of program curriculum and accreditation and thus, the overall perception of online MBA programs. While getting an MBA online is becoming more normal and as stereotypes of online programs are continuing to be broken, prospective MBA students still need to do their research with regards to which MBA program is best to attend. Each online MBA school is different in what they offer to students and they each seek to fulfill different needs and career goals. If you are considering doing an online MBA program, the following information will help you make the best selection. First Section Below: the first section covers the benefits of earning an online MBA as well as what to consider. Second Section Below: the second section is a directory of Online MBA Programs and Schools, which is especially valuable as you evaluate different online business programs. Benefits: According to a survey done by CEVA Logistics and American Public University System, one of the largest predictors of perceived employer credibility of an MBA is accreditation, which denotes curriculum. Accreditation means that your MBA online program meets national or regional standards of what curriculum is taught and achieved by students in the program. Your degree will be fairly worthless in the eyes of an employer if the online MBA program wasn’t obtained through a regionally accredited program. 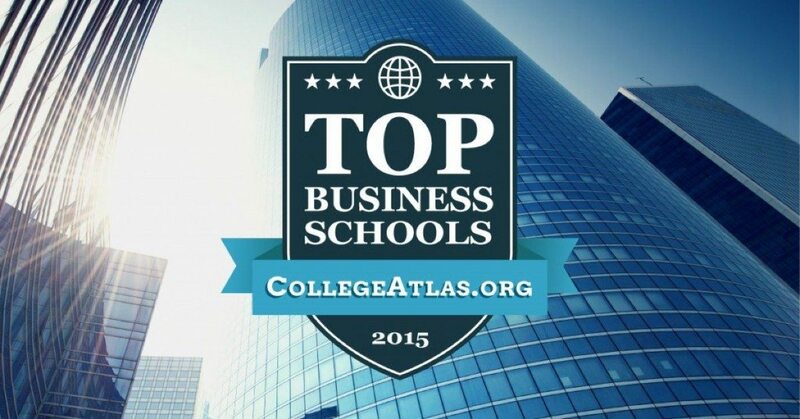 The good news is that within the United States alone, there are now close to 186 AACSB accredited online MBA programs. An AACSB accredited school will not necessarily offer an accredited online MBA degree, however. You should ensure that accreditation has been achieved for the online MBA program itself, not just the business school. What to Consider: There are many accredited MBA online programs with a curriculum that can meet your career goals and standards as well as those of future employers. Be sure to investigate not just the accreditation of the business school you are interested in, but specifically the online MBA program that you are considering.  Ensure the online program itself is regionally accredited by the AACSB. Benefits: An important thing to find out when you’re checking out online MBA programs is what level of real-world experience you may be able to gain through the program. Real-world experience can come in the form of working with real brands or businesses on their strategy or in problem-solving situations. It can also come through projects and competitions that force and allow you to prove you are able to use business theories in a real-world application. Another thing to consider is the level of business experience that the faculty and staff have. You may find in your research of the faculty, that a professor has worked for a company or brand that you are interested in working for after you graduate. Having that professor as a mentor and guide through your MBA program can be very helpful. What to Consider: Find out from staff, alumni, and department directors what level of emphasis the online MBA program places on giving its students real-world experience and opportunities. Side note: many employers appreciate the digital format of an online MBA program as business is increasingly conducted online and at a distance from co-workers and clients. Having earned a degree in this same format communicates a high understanding of digital communication. Don’t want to take the GMAT? Find MBA programs that don’t require the GMAT. Benefits: Regarding faculty and staff interaction, online programs may be able to offer students more instructor interaction than a traditional classroom. This is because of the ease of online course delivery and communication, as opposed to traditional programs where students typically wait until class time to communicate with the instructor. Quality online MBA programs provide educational opportunities through faculty and peer class interaction, mentoring, and networking. Some schools also offer online MBA students the opportunity to engage and network with each other through added in-person classes or multiple day conferences. These offer more opportunities for learning and networking in addition to what you get through online discussion groups and communication. Online MBA programs can also incorporate virtual conferences. What to Consider: Talk with previous students to see how much student-to-faculty and peer-to-peer communication took place during their courses. You will want to opt for teachers that have an open line of communication digitally, over the phone, and on-campus if classroom attendance is required. You will also want to find a program that requires and encourages peer-to-peer communication and networking. Side-note: it may also be helpful to investigate the online MBA instructors and staff to see where their experience and skills lie. You may find that there are multiple instructors at a certain school with strong backgrounds and expertise in a specific area of business that you really want to learn from. Benefits: Many AACSB accredited MBA online programs provide a high quality and very demanding education at prices that are more equivalent to undergraduate college rates. According to the national AASCB database, the average in-state online MBA tuition is about $32,000 and the average out-of-state online MBA tuition is about $46,000. In addition, highly renowned business schools are beginning to offer affordable, 100% online MBA program access to in-state and out-of-state students for equivalent tuition rates. Traditional full-time on-campus MBA programs tend to fluctuate between $45,000 and $127,000. What to Consider: Check multiple online MBA programs and even on-campus MBA programs to see how the tuition prices compare. You should be able to get a high-quality online graduate education for between $28,000 and $42,000. Some schools will charge more, depending on their school’s brand, online MBA program perception, and what their program offers. If the brand of your MBA degree is something that you value on your resume and you believe it will help you be more marketable with future employers, it may be worth it to you to invest more money in this area. Benefits: Building a career and managing your way through a full-time MBA program is not easy, even with online programs. Typical on-campus MBA degrees are earned in about 2-2.5 years and most will not allow you to work during the program. If it is an executive or professional MBA, you will be required to attend long blocks of classes in the evenings and/or on Saturdays. Conversely, many schools offer online MBA programs that can be completed by going full-time in about 1.5-2 years or part-time in 3-5 years. The big draw with doing your MBA online is that you are able to continue working and can fit your school demands around your career and life demands. With online classes, you can virtually take class instruction and work with you wherever you go and can complete it within your schedule. What to Consider: As you evaluate your options, consider the duration and flexibility of the program. What kind of time do you have to commit to your MBA program? If your job is very demanding and you have family or other personal obligations that don’t allow you to spend more than 10-20 hours a week on an MBA, consider doing a flexible online program where you have more control over the pace and concentration of your program. Additionally, you may consider talking with alumni of the MBA program you’re considering to see how they were able to make the program fit with their lives. Would they do it differently if they had to do their MBA over again? If your career is highly demanding, an online MBA program should allow you to adjust your school work around your work schedule. Benefits: This feature may be a moot point between online and on-campus programs, however, it is important when evaluating any type of MBA program and deems discussion. 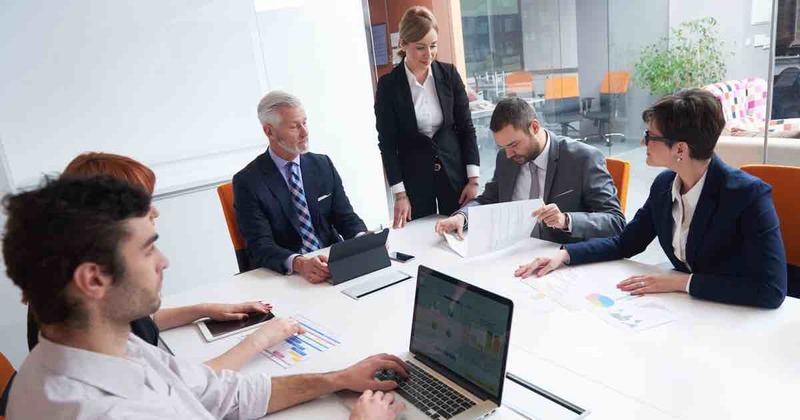 The online MBA programs typically offer very similar online and offline resources to their students compared to those resources offered by on-campus programs. This relates to academic advising, online professional resource access, and career placement services. What to Consider: Online and offline resource access vary little between on-campus and online business schools as it does from school to school. Both types of schools offer their students free academic access to online programs to help facilitate learning, discussion, and assignments. Most schools also offer academic advising and career placement services. While online students may not be able to participate in these services in-person, most are still accessible via online, phone, or digital chat features. Admission requirements vary greatly from school to school and you should check out each online MBA program you are interested in to ensure you have the information they require. If you don’t, you’ll be wasting your time and money. You may also be interested to know that there are MBA programs that may not require that you take the GMAT to apply or be accepted. 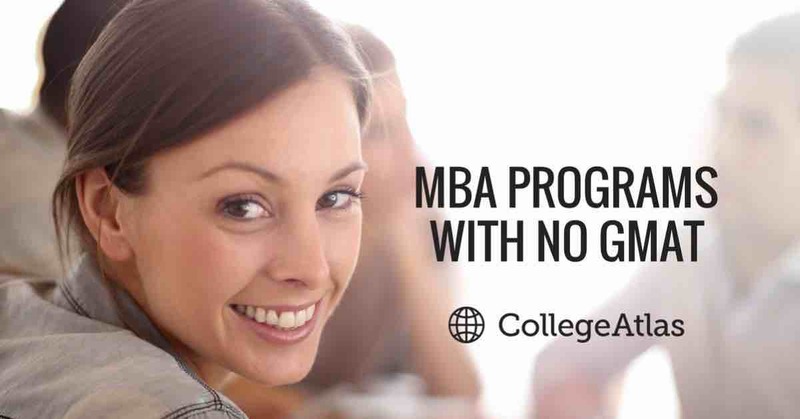 View MBA programs that don’t require the GMAT. Learn more about available online MBA degree programs. Select a program below.